Toad the Wet Sprocket was my second favorite band in the 90s. They actually reminded me a lot of U2. They had that same passion and the guitar reminded me of Edge. 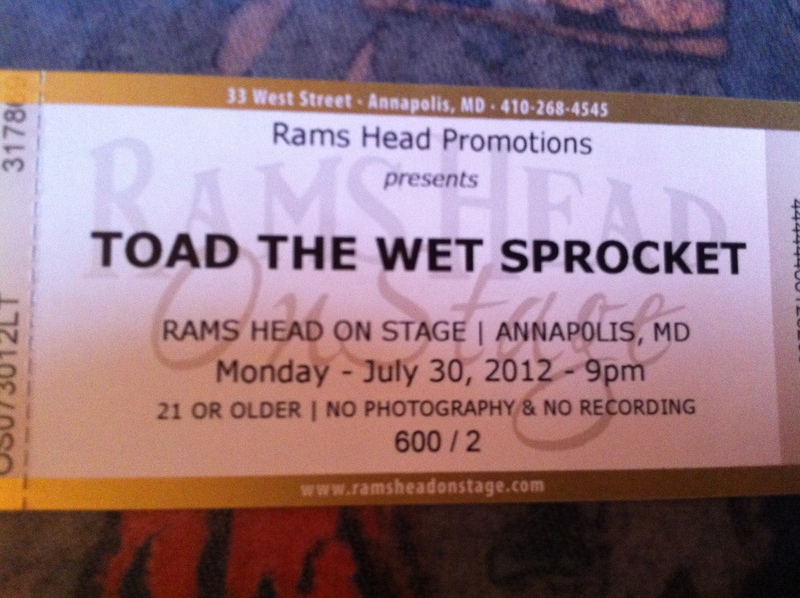 I saw Toad several times in concert back then and then once a few years ago. I was a bit disappointed with their show a few years ago because they played all sorts of new songs that I didn’t know, leaving out most of the songs I love from their first three albums. But not last night. 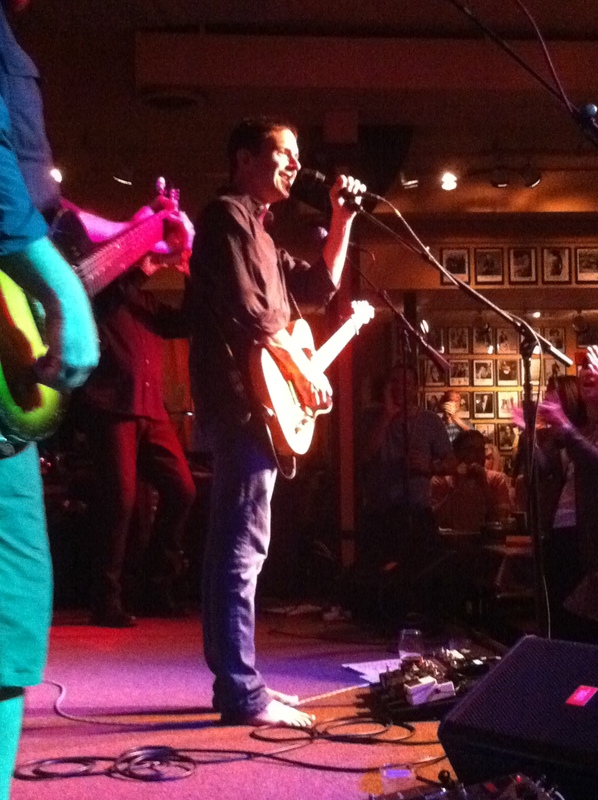 Toad the Wet Sprocket played a fantastic show at Rams Head on Stage in Annapolis, MD last night. They did play some new stuff, but they played my old favorites as well. I arrived in Annapolis around 6:45pm, even though the show wasn’t going to start until 9:00pm. I wanted to take advantage of Rams Head Free Performance Package. 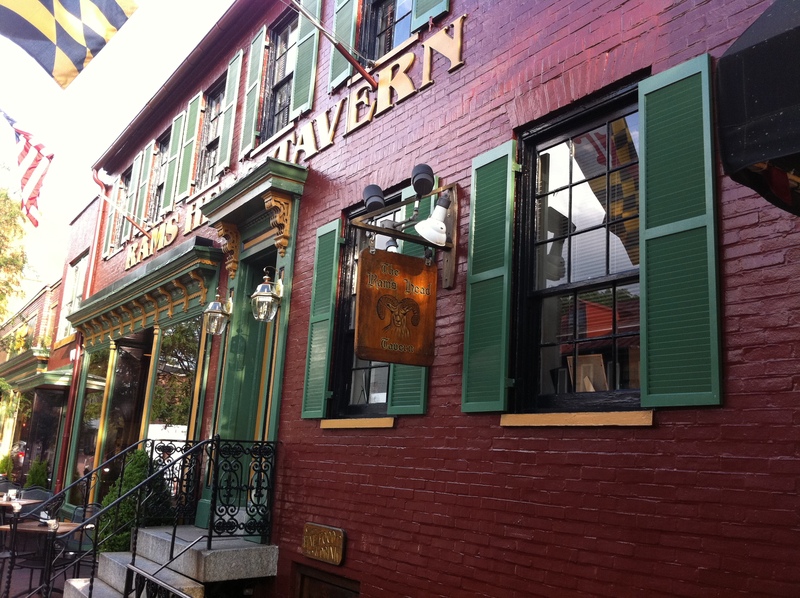 It included half priced parking, 10% off dinner at Rams Head Tavern and a free beer. I enjoyed my crab melt with fries and a half priced glass of pinot grigio – happy hour. I was finished by 7:45 just as the first show was letting out. 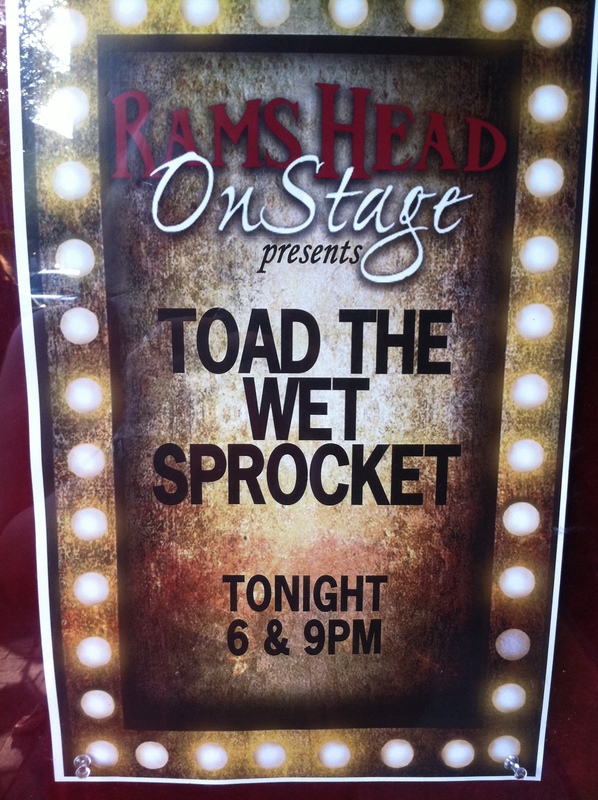 Yes, Toad the Wet Sprocket played two shows last night – one at 6pm and one at 9pm. 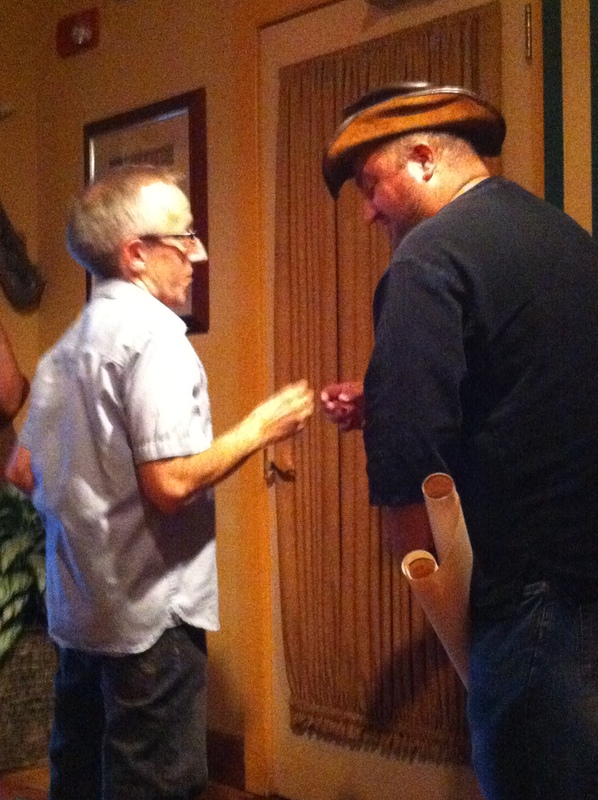 I sat in the lobby waiting for the 9pm show to start hoping the band would walk out – and they did. First the drummer came out and signed and took a picture with a fan, even though he said they weren’t supposed to until after the second show. 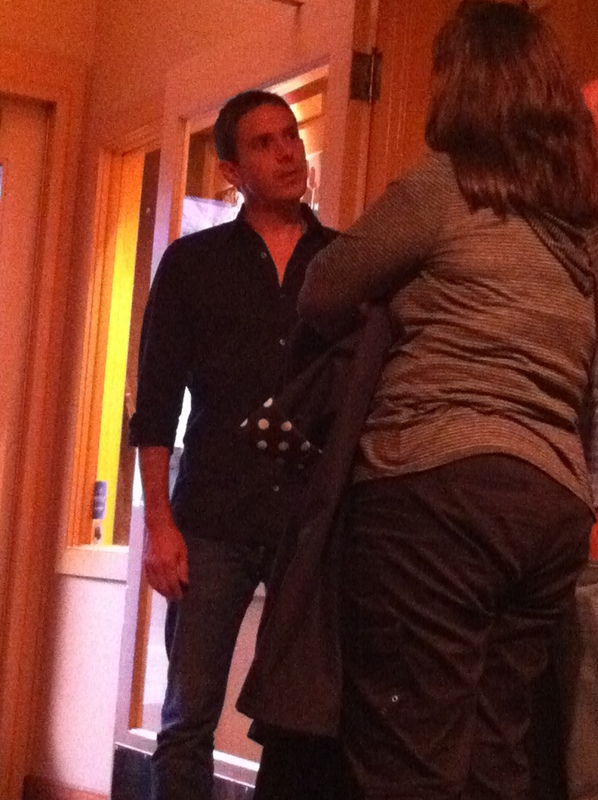 Then Glen Phillips came out and spoke with friends, who were really fans I think, but they knew him. I took pictures, but didn’t feel it was the right setting to approach him. We were seated at 8:15pm. My seat was right on the stage, but on the side. It’s such an intimate venue. The tables are right up against the stage. I was there last month to see Lisa Marie Presley’s free afternoon show. They again had menus out and people were actually ordering food and eating during the concert. That’s just not right. How much can you really be into the music if you’re chowing down on spinach and artichoke dip?! The audience didn’t look like your typical concert-going crowd, but they were really into Toad and knew the songs – well the newer songs anyway. Toad the Wet Sprocket took the stage around 9:15 and played for an hour and a half. They sounded even better than they did in the 90s. Glenn’s voice is just beautiful – and he still performs barefoot! I can’t give a complete set list because I don’t really know the songs after the first four albums, but they did play three of my favorite songs. So here is the set list according to the songs I knew: Fly From Heaven, Something’s Always Wrong, Good Intentions, Torn, I Will Not Take These Things For Granted, Come Back Down, Nightingale Song, All I Want, Fall Down, Come Down, Walk on the Ocean. Music really does make it better. I was in a bad mood all day – tired, sore throat and sneezing. But for those 90 minutes, I was so happy. Thank you Toad the Wet Sprocket for lifting my spirits!